Nowadays, dozens of cool communication apps exist out there, and many more appear now and then to suit every need and taste. So if you mostly use Viber or Telegram or any other messaging app for business and private purposes more frequently than Skype, it makes no sense to keep it on your Apple computer. After all, any application eats up the hard drive space. 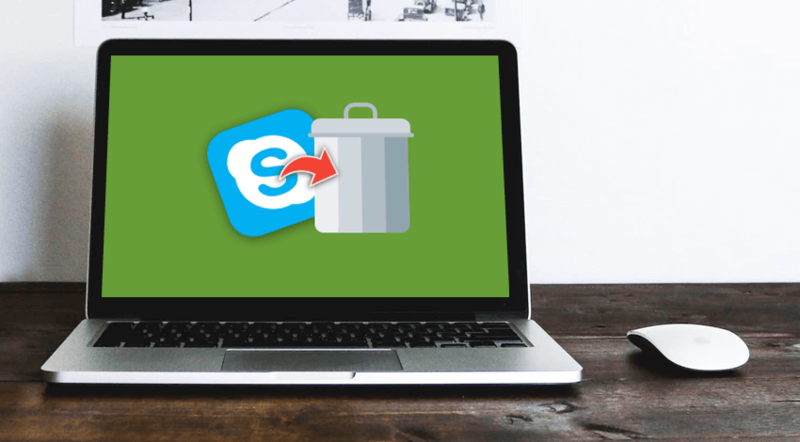 That’s why many Mac owners ask, “Do I really need Skype?” This article will explain how to remove Skype from your Mac and deal with issues if you can’t get rid of it seamlessly. 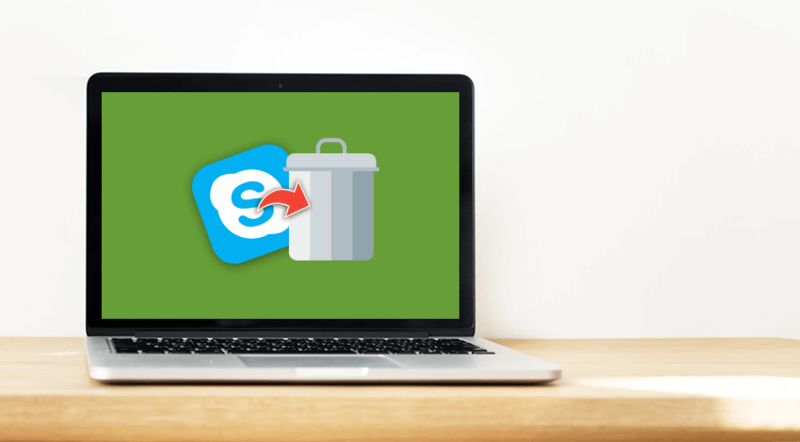 Before discussing the ways to get rid of Skype fully, have a look at the easy method to toss away ‘the heart of the program.’ It does not guarantee a complete uninstallation, meaning the app’s leftovers (e.g., associated processes and files) may remain in the system. 1. If Skype is launched, quit it. It is impossible to delete the app while it's running. 3. Apply Command+Shift+A keys to jump over to the Applications folder. 4. Find Skype icon in the list of installed apps. 5. Drag and drop the application’s icon to the Trash. 6. Empty Trash to eliminate all previously deleted files, including Skype. That is a fast way. Below we’ll talk about uninstalling Skype completely on macOS Sierra and High Sierra and earlier Apple’s operating systems. The previous section has introduced the shortest but incomplete way to erase Skype on Mac. In order to eliminate the supporting items and related processes, the user should be familiar with how to work with the Library folder. 2. Launch ~/Library/Application Support. ~ represents the user’s Home folder. Put the entire Skype folder to the Trash bin. Please keep in mind that the supporting data has user’s Skype chat and call history, so avoid doing the last stage if you need information of that type. 3. Remove Preferences. To do so, move to the folder ~/Library/Preferences. Place com.skype.skype.plist to Trash. 4. Launch Finder once again to get rid of the results that show up. 5. It is time to launch Trash. Empty Skype and the associated items. 6. Reboot Apple computer. You might reinstall the application if you changed your mind. Most macOS apps are totally self-contained “packages,” so it is possible to eliminate such software by simply tossing it into the Trash bin. However, even the most popular applications create tons of useless files in Preferences. Not all of them have native uninstallers, and it makes the situation a bit trickier like the one with Skype. That is why a Mac owner should take the steps offered above and scan the /Home/Library/Preferences/ folder for the leftovers. Such leftovers always take up some space, and it does not make any sense to keep them after deleting the major app’s file. One more location to check is /Home/Library/Applications Support/ folder. Skype may have the installation components over there. Try removing the folder you can find in the Applications Support. Why would these items stay and eat up the valuable disk space? 2. Pick the Accounts icon. 3. Choose the Login Items tab. Place the target item on the list for Skype and confirm by pushing the minus button to remove the app from the list. Look for the related stuff in the /Library/Receipts/folder. Search for the app’s or developer’s name. The extension of such elements would be “.pkg.” make sure to remove the item as other software might use it to define if it is already installed. Mind that it is possible to detect other associated files with the help of Finder as well (use its search option). Just type the app’s name (Skype in our case) or the developer’s name (Skype Technologies). It will be your search term/keyword. You can not do the same in Spotlight, but the system allows changing its behavior. 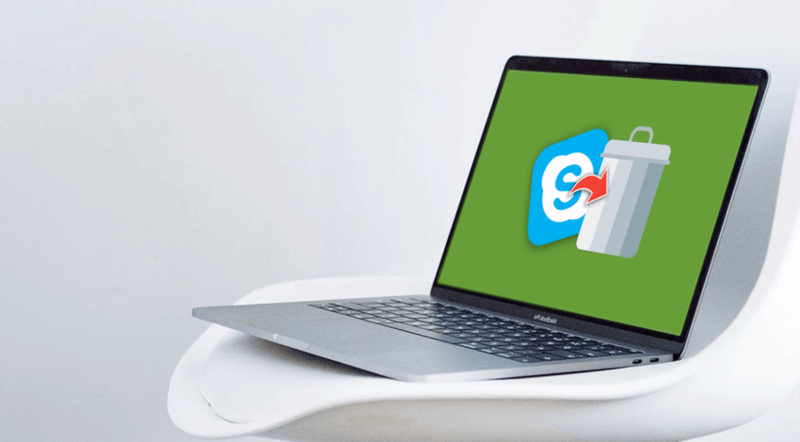 No matter what you are using Skype for (business, family, other), the situation when you will want to remove this popular application from Mac is still probable. Unlike Apple’s built-in utilities that require plenty of time and manual actions, a third-party cleaning tool can solve the issue much faster. Besides, the user does not need any advanced knowledge at all. There is no need to launch any utilities and type the names of the tools you wish to eliminate like Skype or anything else completely. It is much safer for the newbie to apply a third-party cleaner than trying to delete the application with the help of Terminal, which for more experienced Mac owners. So, in case a user does not find it convenient enough to remove Skype and the associated stuff from A to Z manually, one of the free/paid cleaning tools from the third-party developers will help. It is important to read the feedback and make sure that the software is safe before downloading and installing it. It is better to get such apps form the official developer’s websites or places like AppStore. 2. Full uninstallation of the third-party apps. It may uninstall Skype and eliminate its files in a single click. After reading this guide, you can choose how exactly you would like to delete Skype once you realize you do not need it any longer. Perhaps, you should think about installing a third-party cleaner to make the process faster and simpler.